Barcelona – The Take Office Ceremony of Ambassador Youssef Amrani was held today in the headquarters of the Secretariat of the Union for the Mediterranean, located in Palau de Pedralbes of Barcelona. The event was attended by Mrs. Trinidad Jiménez, Spanish Minister for Foreign Affairs; Mr. Alain Juppé, French Minister for Foreign Affairs; Mr. Taïb Fassi Fihri, Moroccan Minister for Foreign Affairs, Mr. Ahmed Fathallah, First UnderSecretary of Egyptian Ministry of Foreign Affairs and Mr. Artur Mas, President of the Generalitat of Catalonia. Mr. Xavier Trias, Mayor of Barcelona, welcomed the Deputy Secretaries General and the new Secretary General to the city of Barcelona and underlined the unconditional support of the city to the Secretariat. Trinidad Jiménez, Spanish Minister for Foreign Affairs, stated that Arabian spring has opened new opportunities for peace, democracy and freedom and underlined “that the Union for the Mediterranean has a lot to contribute to this new regional framework. It was born with the objective of getting closer and enriching the Euromediterranean dialogue, but now it has the challenge to give support to the process that the south shore of the Mediterranean has initiated”. She encouraged Mr. Amrani to achieve the best understanding between countries with the aim of improving life quality in the Euromediterranean area in this important moment of history. French counterpart, Mr. Alain Juppé, welcomed Mr. Amrani to this new post and highlighted his long experience in international affairs. “There are several subjects that claim a particular attention: youth, civil society, economic development, renewable energy and civil protection”, said Mr. Juppé during his speech. French Minister for Foreign Affairs also commented on the first labeled project of the Union for the Mediterranean, the construction of a major desalination facility in Gaza capable of producing potable water every year for civil society. 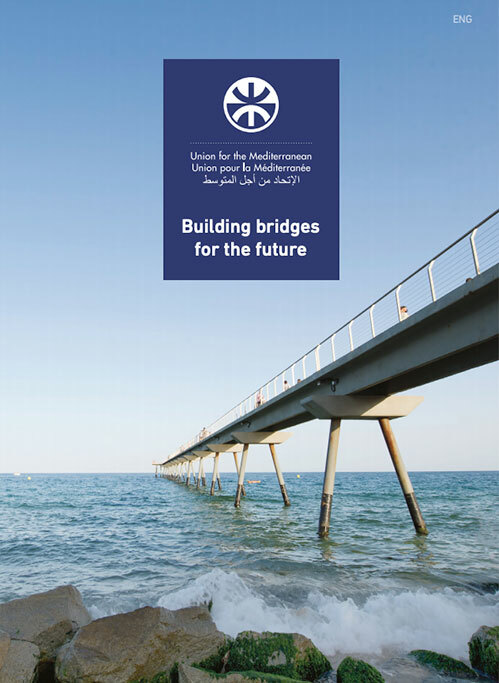 France holds one of the copresidency of the Secretariat of the Union for the Mediterranean. Following on the ceremony, Ahmed Fathallah, First UnderSecretary of Egyptian Ministry of Foreign Affairs expressed his confidence about the success of Mr. Amrani’s appointment to continue with the work of the Secretariat, focused on identifying, studying and promoting Euromediterranean projects with positive impact on citizens. “We need to identify new areas of cooperation, facing the new problems that the region has”, he continued. Moroccan Minister for Foreign Affairs, Taïb Fassi Fihri thanked Youssef Amrani for his years in the Moroccan Ministry of Foreign Affairs and gave his full support to his new functions as Secretary General of the Secretariat of the Union for the Mediterranean. He stressed the need for complementarity between any future initiatives taken by the European Union and some countries of the southern shore of the Mediterranean. “The Union for the Mediterranean is not the appropiate framework for settling the Israeli-Palestinian conflict, which should not spoil the Euromediterranean process or hinder the enormous endeavour the Union needs to take”, Mr. Fassi Fihri stated. Artur Mas, president of the Generalitat de Catalunya, expressed his satisfaction for Mr. Amrani’s appointment after his post of consul in Barcelona and recognized the special moment in which he has taken office as Secretary General. “Europe has to establish a cooperation for the citizens of the Mediterranean and reinforce Euromediterranean politics”, the President of the Generalitat said. 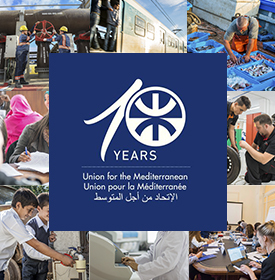 “The Secretariat of the Union for the Mediterranean has to play an essential role”, he added. The final remark was made by new Secretary General of the Secretariat of the Union for the Mediterranean, Youssef Amrani. He warmly thanked all the support shown after his appointment and agreed with Minister’s speeches, especially because “we have the same vision, the same ambition and the same approach to Secretariat of the Union for the Mediterranean”. Ambassador Amrani highlighted “the unique opportunity to build together Euromediterranean politics that can respond to citizen’s aims”.